The Certified Pilates Instructor Level II. home study course is designed for instructors who have previous experience with classical Pilates mat exercises and have completed the Body ’n’ Soul Wellness Academy Pilates Instructor Level I. certification. It is strongly recommended that participants have prior knowledge of anatomy, experience in teaching a related form of movement and/or exercise. 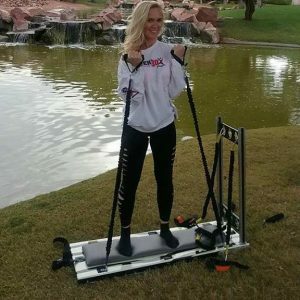 Students can learn how to teach the full progression from Beginner to Advanced Mat Pilates exercises, in addition to learning how to incorporate various apparatus such as the Pilates Ring, Pilates Body Band and Pilates Core Reformer tubing. After your successful exam you will get the Certified Pilates Instructor Level II. certification.